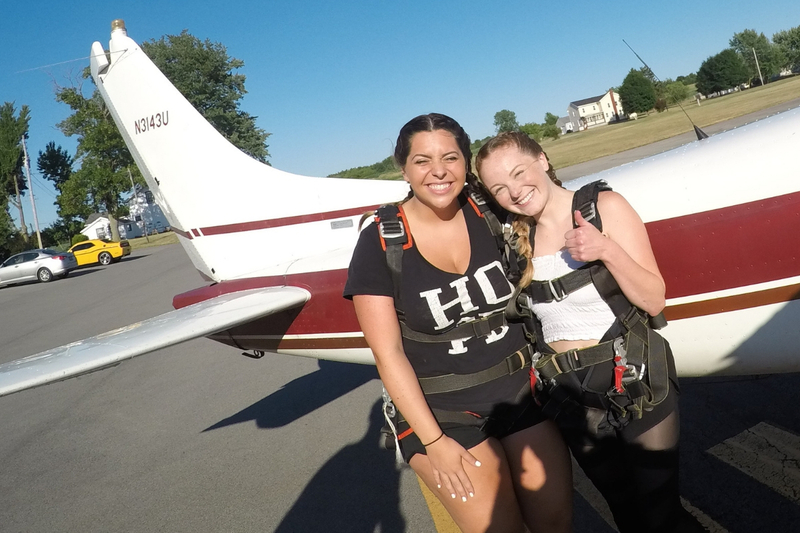 At WNY Skydiving, your first jump will be a tandem skydive. 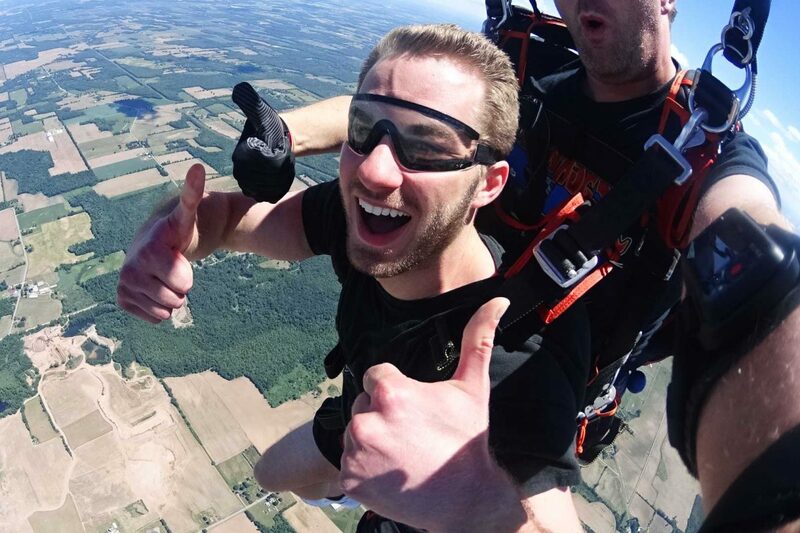 Tandem skydiving is the easiest and most popular way to experience the thrill and excitement of your first skydive. 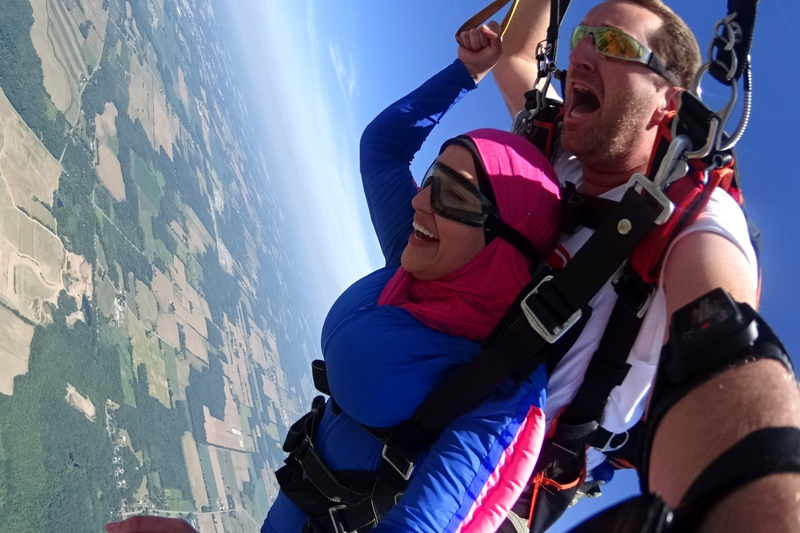 Tandem skydiving requires no previous experience. Your instructor is here to guide you through the entire experience – from providing pre-jump training through exit, free fall, piloting the canopy to that high-five after you land on terra firma again. The training process to make a tandem skydive is very simple. When you arrive at our facility, you will sign in, watch a short video and fill out paperwork. 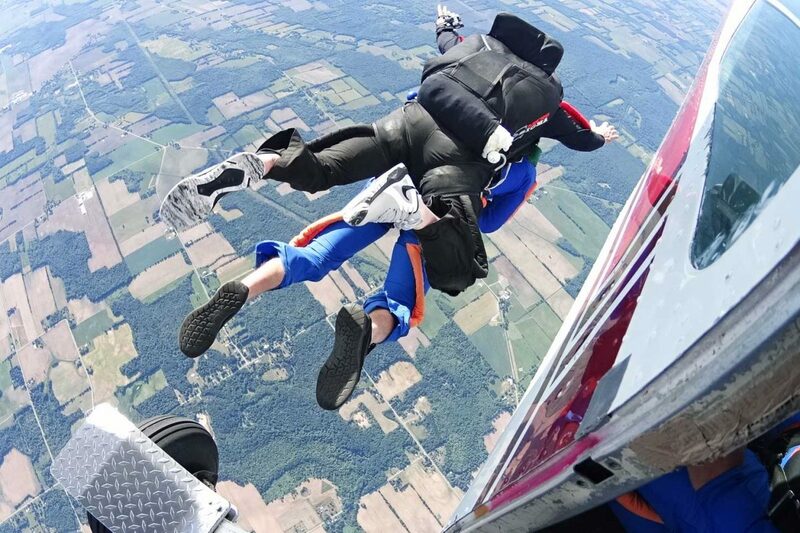 At this point, you will be introduced to your tandem skydiving instructor. The instructor will then take you through a 30-minute pre-jump training class. This will cover everything you need to know to make your first jump! First, you will be taught about the basic freefall body position. 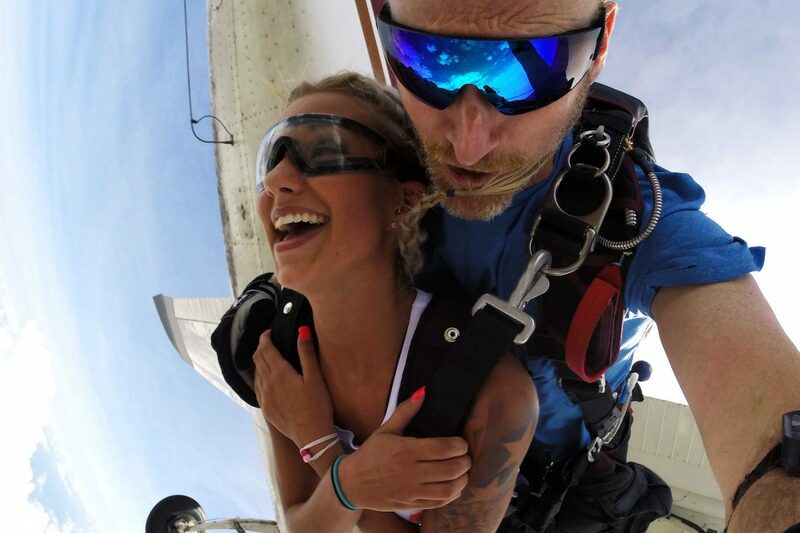 This is “your job” on the skydive and the most important thing you will learn for your day. Your instructor will explain what this position is and how it works. He or she will demonstrate this body position for the class, before you too will have the opportunity to try it for yourself. Next, the instructor will talk to the class about basic airport and aircraft safety. You will learn about the correct way of entering and exiting the aircraft. Following this, you will be instructed about how to fly and land the parachute. 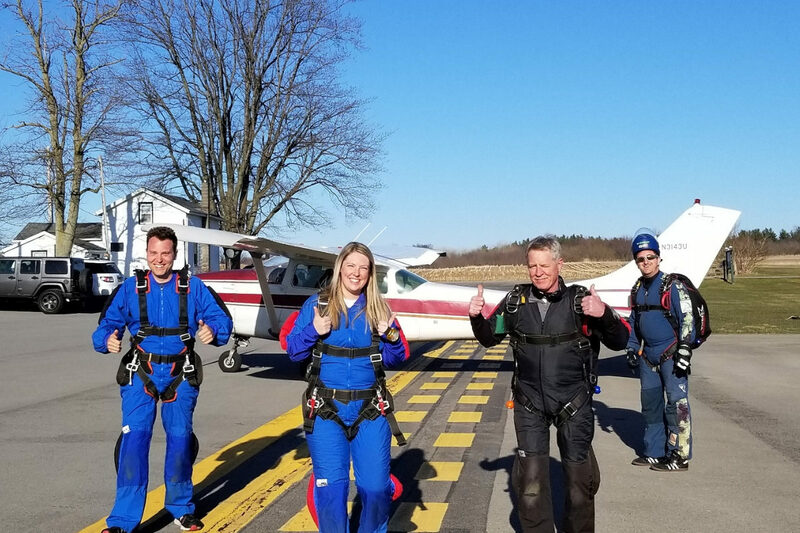 Finally, the instructor will show you our state-of-the-art tandem skydiving equipment and teach you about the harness you will be wearing and the parachute system used for your jump. 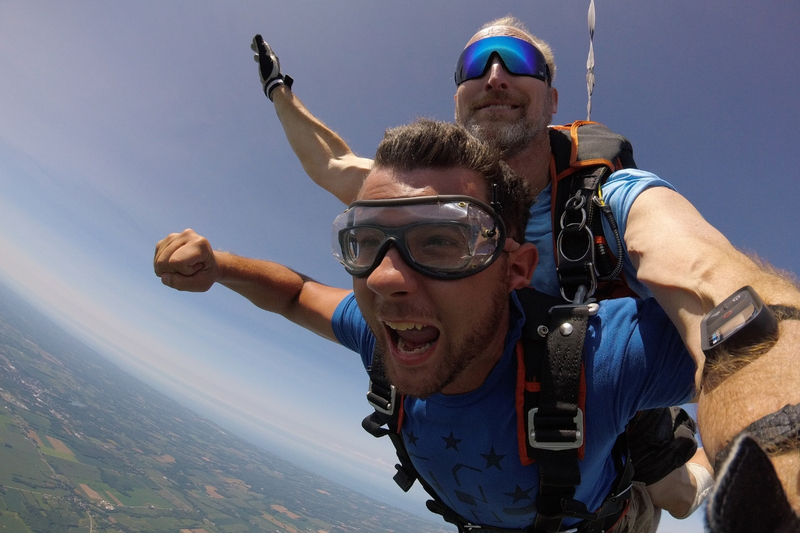 Get Video or Pictures of Your Skydive!